Ruhig gelegen und sehr ordentlich, mit Versorgung zur Begrüßung, es hat an nichts gefehlt. Poolpflege hätte zwischendurch stattfinden können. Comfortably accommodating 4 adults and 6 children we spent a relaxing two weeks in summer 18. The pool was large enough and clean and welcoming and the grounds and views beautiful. The lavender around the grounds gave off the most amazing smells. Monterchi isn’t a huge town and only a few restaurants so if you want more from the nearest town you might look elsewhere but there was enough for us and the restaurant at the top of the walled town was very atmospheric with great food. We had two weeks in this fabulous villa and what an amazing place this was. Not sure how we managed to drag ourselves away from the vista down the valley or from the pool (which is where I spent most of my day). There was nothing missing from our time in the house - everything we could have needed or even thought of was provided. There was shade for my husband who behaves as if sunlight will melt him and a TV for the foot ball for my cousin as this was absolutely the most important thing. The family joined us for the second week along with our 15month old grandson who spent most of his time 'walking' up and down the steps as was his wont. There was ample space for us all to enjoy whatever area of the house and grounds suited us best and all the rooms were cool enough that we were able to sleep very well indeed. For me it was the unforeseen pleasure of watching the wildlife from the grand position of the upstairs loo window - hares, deer and many many birds including golden oriels which I have never seen before. At night we were serenaded by nightingales, also something I'd never heard till then. The walks around the house are not to be missed either as we also saw wild boar! So basically this was the perfect holiday in the perfect location - thank you. We are glad you had a great holiday. Thank you for the lovely review. We hope to host you again sometime. Monterchi, restaurants (trattoria) and deli at top of village. Monterchi, just outside, restaurant la pieve vecchia was sensational (book in advance). Excellent waiter who replaced a slightly corked bottle of Chianti Reserva Classico on his own initiative. Top class. Thanks Harriet and James for sharing your place with us. Firenze is a 90min drive. A large, generously furnished house with everything a family could want. 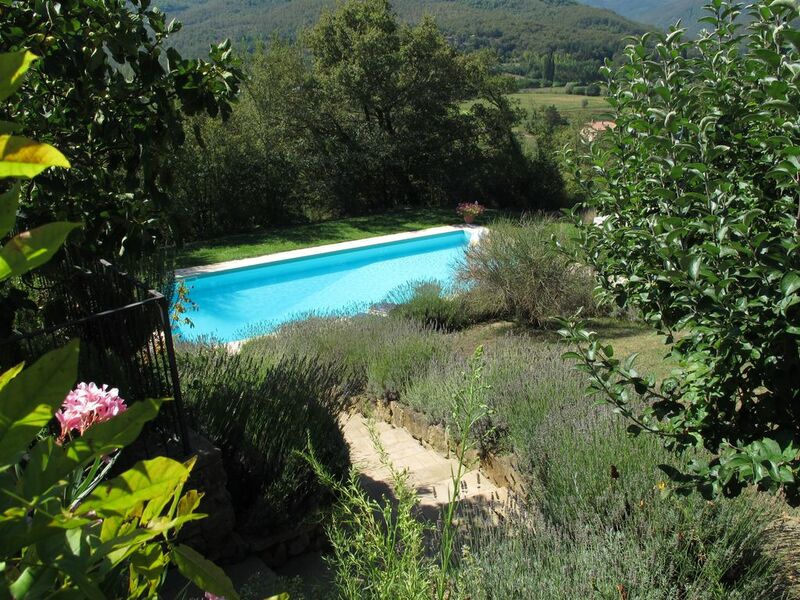 Gorgeous hilltop towns nearby to explore, a lovely valley and woodland at one's doorstep, amazing views, and to top it all a huge, spotlessly clean pool plus generous patio area in which to enjoy the perfect Tuscan evenings. Can't fault it. Before booking this house, I desperately tried to find a mediocre or negative comment in the earlier reviews. After having spent 9 nights at the place, I now know why I had no success. Right on our arrival we (7 persons) learned that we had made a perfect choice by booking our holiday in this spacious house. Not only the large area around the house (table tennis, pool and a big garden which is suitable for sportive activities like badminton etc.) did overly satisfy our expectations, we also found the house to be in an excellent condition. Especially the well equipped kitchen (e.g. dishwasher, cooker, oven) and the overall cleanliness did contribute to our comfort. Since the property is so big, each of us could always decide to hang out with the group or find a private spot to relax. It was very easy and pleasant to get in touch with the owners to clear minor things up, but the service we benefited the most from was their house book. It is a clear description of the functionalities in the house and a helpful guide for activities and food shopping in the region. We definitely want to come back and can very well recommend this property! Rental includes a weekly change of bed linen, towels, pool towels, a weekly clean of the house and pool cleaning and a welcome pack. Pool may not be open before mid May or after mid September, depending on weather. Central heating (metered) and wood for log burner available at extra cost. Additional cleaning services available on request.